This ebook is a collection of my favourite holiday recipes. It's full of tips for effortless entertaining and recipes that keep your holidays stress-free and delicious. Enjoy! 'The Holidays' includes 38 recipes that will carry you through the season. 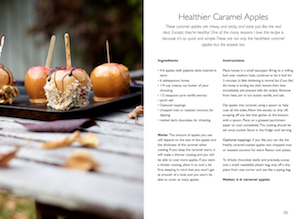 Each recipe comes with original photography, clear step-by-step instructions and tips, to ensure your holiday cooking is as simple as it is delectable. Now on Sale for $6.99! Sign up to receive updates when new ebooks become available.